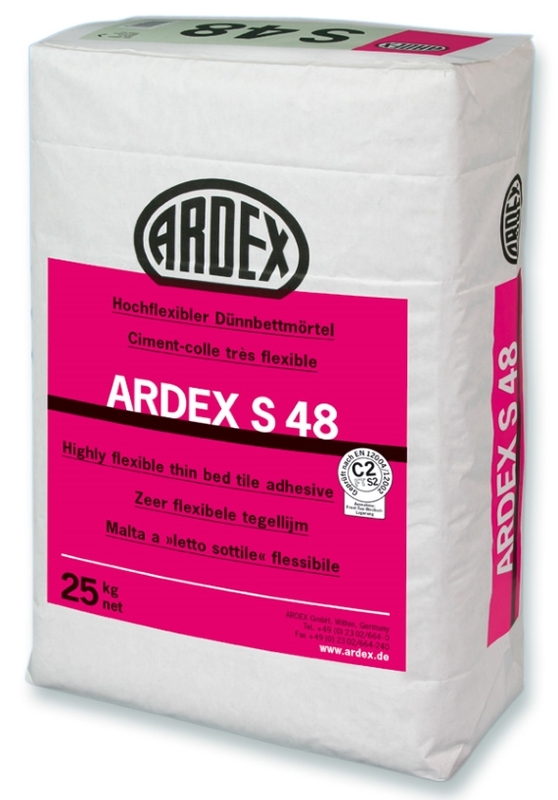 The ARDEX S48 is the most versatile ceramic tile setting material available anywhere. Portland cement-based adhesive that is highly modified with powdered polymers for high bond strength and flexibility. When mixed with water, ARDEX S 48 has a creamy smooth consistency that is similar to ready-to-use tile adhesives. The material hardens quickly through hydration and drying, is highly flexible, and water resistant. ARDEX S 48 bonds to all common substrate surfaces, including wood and plastic laminates, and is suitable for use in bathrooms and kitchens.